Discription :Cross the skies and fight in epic aerial combat of World War II! Enter the cockpit of your fully customizable warplane and get ready to take off: your mission is about to begin! Become an aviation ace! Fly like a lone wolf or team up with your squad to control the skies. 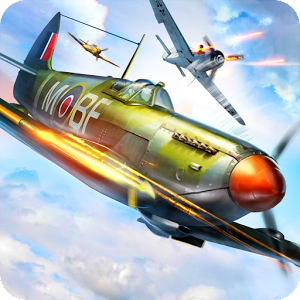 Perform incredible aerial acrobatics, put your enemies in the spotlight and pull the trigger to knock them down. + Pilots aircraft of the World War II era based on current models.